What Is Half Acre Build Co.? 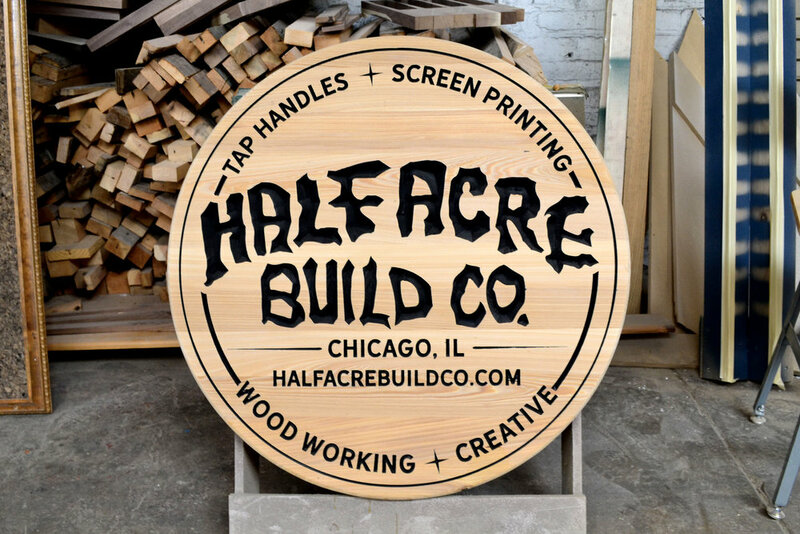 Half Acre Build Co is a creative workshop focusing on tap handles, wood working, screen printing and design. We are makers and creatives that started this shop to create unique and thoughtful items for our brewery, Half Acre Beer Co. Whether it’s tap handles or artwork, we exist to make totems that clearly reflect the identity of our collaborators. There are lot products that exist that are stamped out in far away places by equipment that communicate a distance between maker and the object being made. It’s our aim to use thoughtful materials to make objects that convey an intimacy in process and care for content. What we make at Half Acre Build Co should stand up just as clearly as the entity and group of humans it represents.